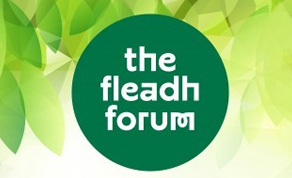 The Fleadh Forum is a platform to explore and share ideas about what is happening in the film industry. It runs from 14:00-17:30 on Thursday, July 13th 2017 in the Radisson Hotel, Veranda Hotel. ACE, EAVE and Screen Leaders. The forum is supported by the Galway Film Fleadh, Screen Training Ireland and Bord Scannán na hÉireann/the Irish Film Board (IFB). A case study of the film finance structure of Brendan Muldowney’s epic—Pilgrimage. Handled by XYZ Films, this Irish Belgian co-production, which shot on location in Ireland, featured a strong line-up of Irish creative talent and was financed by the IFB, BAI, Wallimage and XYZ Films. Grierson-nominated Director, multi-award winning Film Editor, Emer was recently honoured by SDGI as winner of the Finders Series 2017. Having scooped three awards including the Audience Award at the Audi Dublin International Film Festival, her feature documentary The Farthest had its International Premiere at the Tribeca Film Festival, and has visited Mountainfilm Telluride, Sydney, AFI Docs, Edinburgh and more, and is set for release in Irish cinemas on July 28th 2017. Her editing feature credits include Patrick’s Day, My Name is Emily, Unless and the ground-breaking series Shameless. Her documentary editing work includes One Million Dubliners, Broken Tail and the multi-award winning The Secret Life of the Shannon. Here Was Cuba, her documentary co-directorial debut—with John Murray—was screened at festivals worldwide and was nominated for a Grierson Award 2014. Low-budget is no barrier to big ambition. Premiering at the Galway Film Fleadh, Michael Inside is a strong example of low-budget filmmaking on a far reaching social issue from Writer/Director Frank Berry. This discussion will delve into the area of independent filmmaking looking at the creative approach taken by the filmmakers and discussing how to maximise limited resources to the best effect. Panelists: Frank Berry (Writer/Director), Aoife O’Sullivan (Executive Producer) and will be chaired by Patrick O’Neill (Wildcard Distribution). The disruption of orderly sequences of film distribution is one of the most significant phenomena of the digital age. Day-and-date releasing theatrically and online, video-on-demand going head-to-head with pay-TV, pre-releasing online for free – what does all the experimentation add up to? The new majors are online platform giants, yet for the majority of films the value of digital rights is far from compensating for the decline in revenues from traditional home entertainment. What practical steps can producers take to understand and manage the new rights in their work, and derive value from them? Panelists: Jon Rushton (Curzon Artificial Eye), Karen O’Malley (Element Pictures) with others to be announced and will be chaired by Simon Perry (ACE). Places for this event will be strictly limited and offered on a first come, first served basis. RSVP by Friday July 10th to niamh.oreilly @ irishfilmboard.ie.